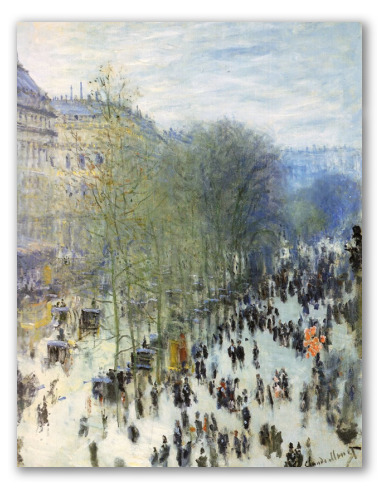 Boulevard Capucines by Monet, Displayed at Nelson Atkins Museum. 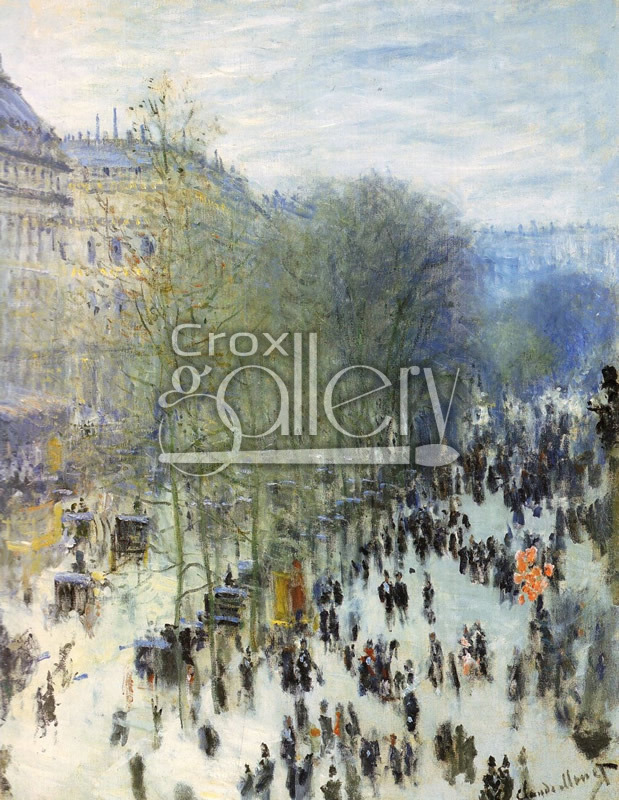 Boulevard des Capucines by Claude Monet in 1873. In this painting the artist captures the urban landscape of a French winter. It is currently on exhibit at the Nelson Atkins Museum in Kansas. The black garments, the snow, and the buildings converge to make a masterpiece of cool colors, ideal for decorating vividly-colored walls.